Who should Inspect/Maintain a BMP System? The inspection and maintenance of a stormwater system falls into two general categories: routine and major. There are various terms for these two general types, but routine inspection and maintenance generally does not involve heavy equipment or confined space entry and the skills needed to perform routine work are easy to learn or already known. Items that are considered routine are picking up trash, mowing observing erosion problems and other simple tasks. Often a site owner can perform some of these tasks or hire landscaping professionals to complete them. When routine inspection and maintenance tasks are not done and problems are ignored they can turn into major tasks. A professional or jurisdictional inspector is required to assess the performance of routine tasks and to determine whether or not major maintenance is provider is required. There are many types of land based and manufactured BMPs and the tasks associated with performing inspections and maintenance for all these different types can vary greatly. While it is possible that a single provider may have all the equipment and skills to perform every task, it is more likely that more than one provider may be needed to cover every type of BMP encountered. Many good providers will subcontract certain tasks such as tree removal or dredging that are a part of an overall maintenance operation. No matter what the task at hand, there are certain characteristics that should be present in a professional stormwater maintenance provider. A good provider will be properly licensed and insured. If there are stormwater or soil and erosion certifications needed in the service area, a good provider will have them. A good provider will provide a list of clients in the area with contact information so that any of the clients can be contacted for references. A good scope of work should be provided with any bid or quote and a description of the proper reports that will be filed to document the maintenance activity should be included in the scope. If material is to be disposed of, copies of the disposal manifest should be provided to the owner and the jurisdiction. Any subcontractors that will participate should be clearly identified. All provider employees should be uniformed and have proper credentials with them at all times. Any special certifications required, such as "crane operator" or "confined space entry," should be kept on the job site. The provider should provide a list of all the equipment needed to accomplish the job including safety equipment. All safety equipment must be in place at all times. 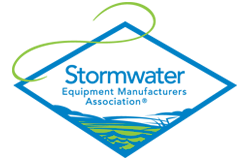 The idea behind listing these characteristics is to help identify providers that understand that while some of the tasks involved with stormwater inspection and maintenance may be routine, some activities are very dangerous. This is especially true when stormwater is flowing or when activities are underground. Providers that can satisfy the characteristics on the list above are more likely to be able to perform the tasks involved safely and to the owner's satisfaction. A provider does not have to be large or have expensive equipment to be qualified or effective, but it should be recognized that some tasks will require a larrge and versatile provider.